The Black Velvet Pillow Case is a durable cover for your Ergonomic Lash Pillow (click here for pillow). Wide side panels make traditional palettes and adhesive setup a breeze, minimizing back and wrist movement by keeping your products closer to your client. Set up the Ergonomic Lash Pillow so that the flat edge is towards you. Clients should lie down with their shoulders in the curved panels and their neck supported by the bridge. Place a fresh towel or paper towel over the pillow for each new client. I love Sugarlash products. 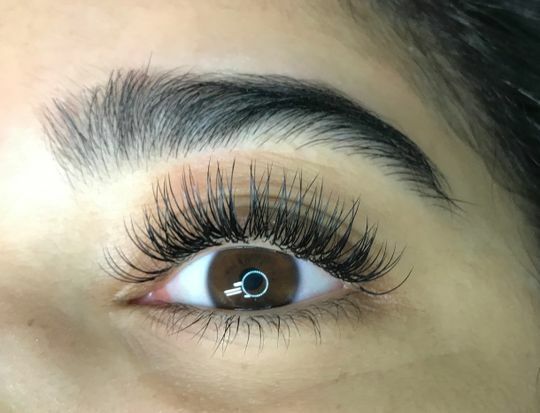 The only lash extensions I use on my clients. The flat lashes are amazing! Victoria V. Reviewed by Victoria V.
Shelly F. Reviewed by Shelly F.
Love that you stock pillow cases for the lashing pillow!! Replaced my old one after 1 1/2 yrs, love love this pillow!! Joane C. Reviewed by Joane C.
I love the lash pillow! Very comfortable and the pillowcase is soft and velvety. When you order the pillow it already comes with a pillow cover, but I ordered an extra one just in case.